As neighbours, the Earth and Moon have experienced similar rates of asteroid strikes over the course of the Solar System’s history. 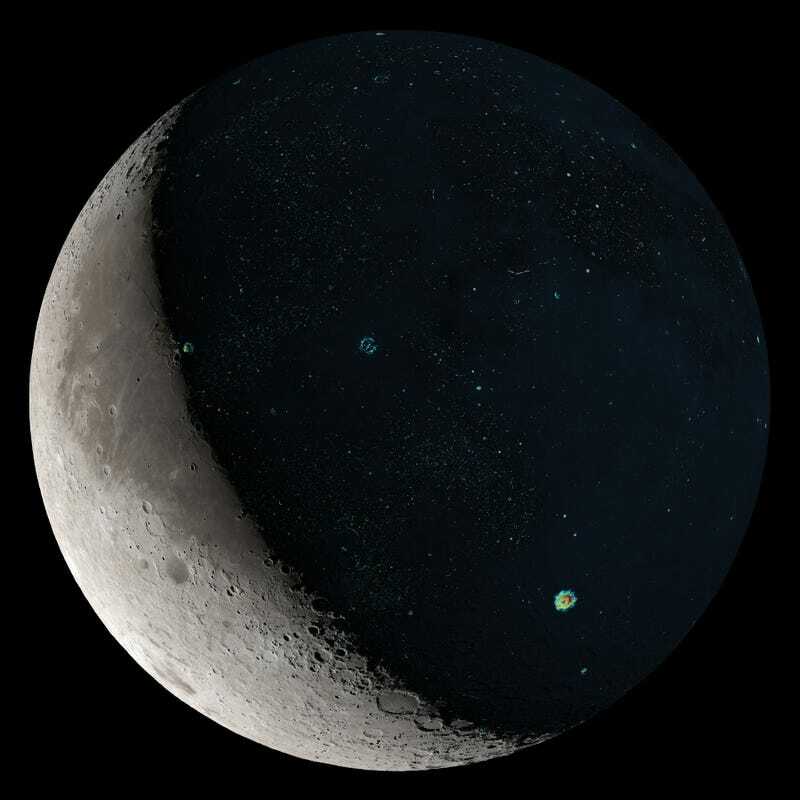 But the Moon, unlike Earth, isn’t subject to the same erosional processes. 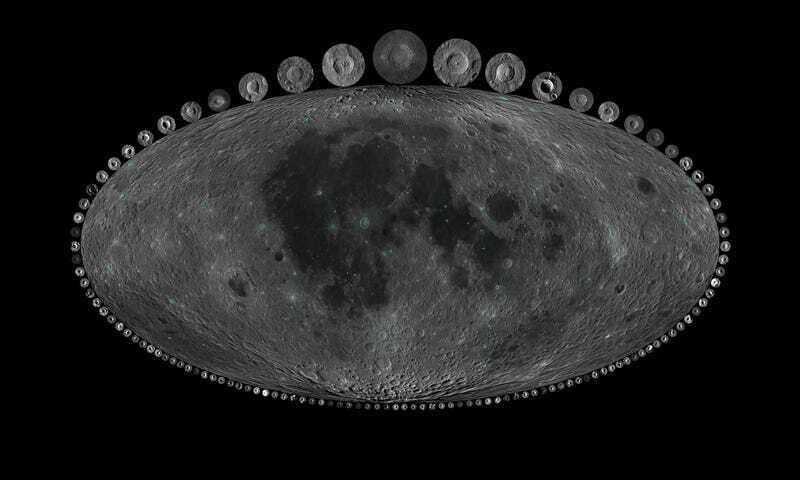 Consequently, the Moon’s surface has retained a long-term record of its impact history. 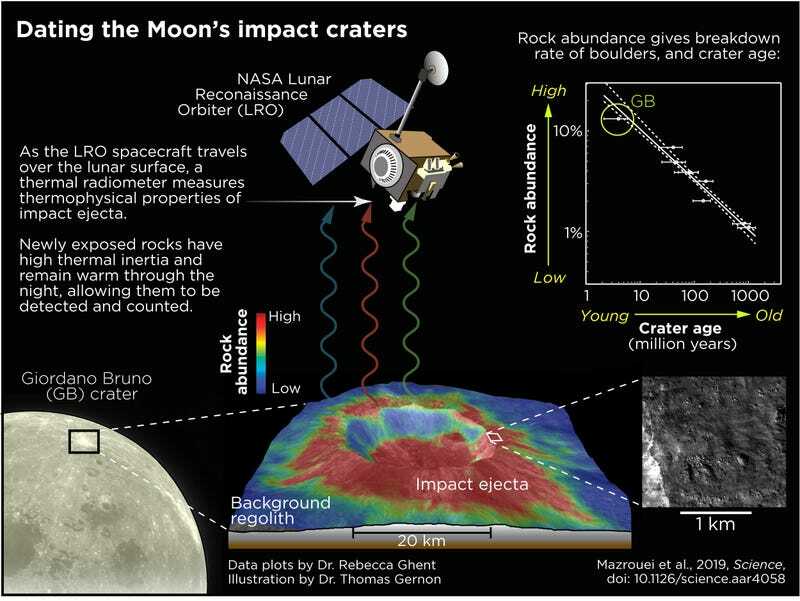 If these lunar craters can be dated, then it should be possible to recreate the historical bombardment rates on Earth. By using a new technique to date lunar craters from a distance, a research team led by Sara Mazrouei from the Department of Earth Sciences at the University of Toronto were able to accomplish exactly this. The technique allowed them to date lunar craters with diameters greater than 10 kilometres (6 miles) and younger than 1 billion years. The first is that the impact rate on Earth increased by a factor of 2.6, or between two and three times, about 290 million years ago, at the end of the Paleozoic Era and just slightly before the appearance of dinosaurs. 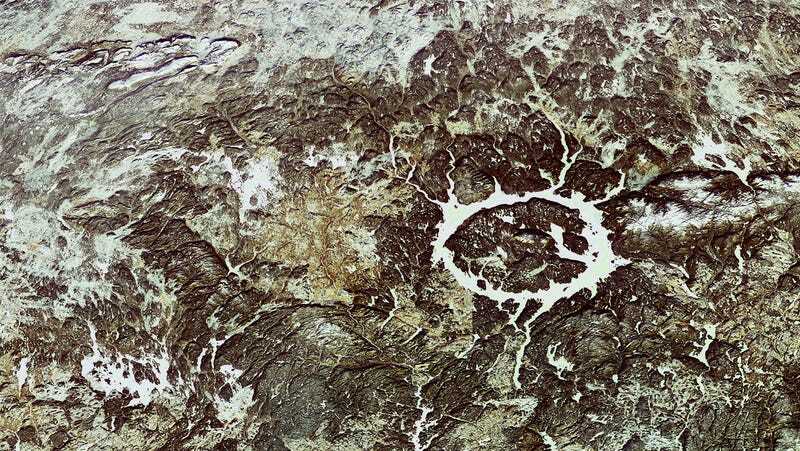 The second big finding, in the words of the researchers, is the “almost complete absence of terrestrial craters older than 650 million years.” This absence, according to the researchers, suggests a “massive global-scale erosion event near that time.” The event they’re talking about is the theorised Snowball Earth—a time when most if not all of our planet was coated in ice. It’s a fascinating possibility, and further evidence in favour of the burgeoning Snowball Earth hypothesis.